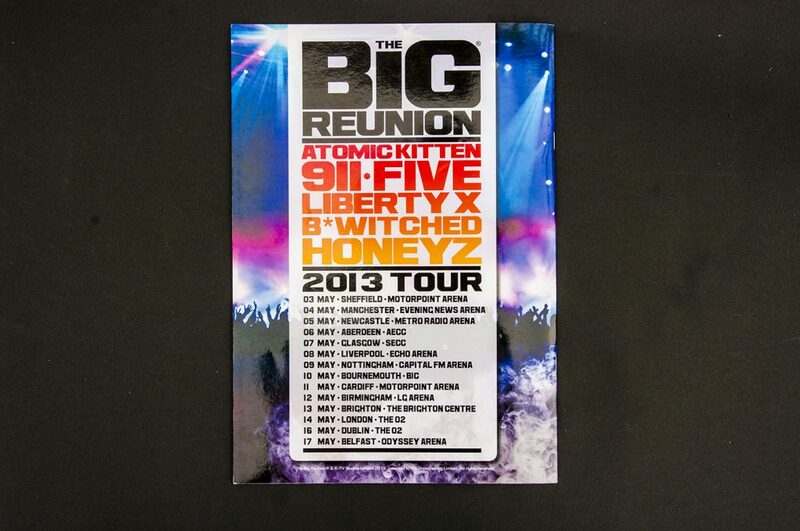 The Big Reunion is a British reality-documentary series that began airing on ITV2 on 31 January 2013. 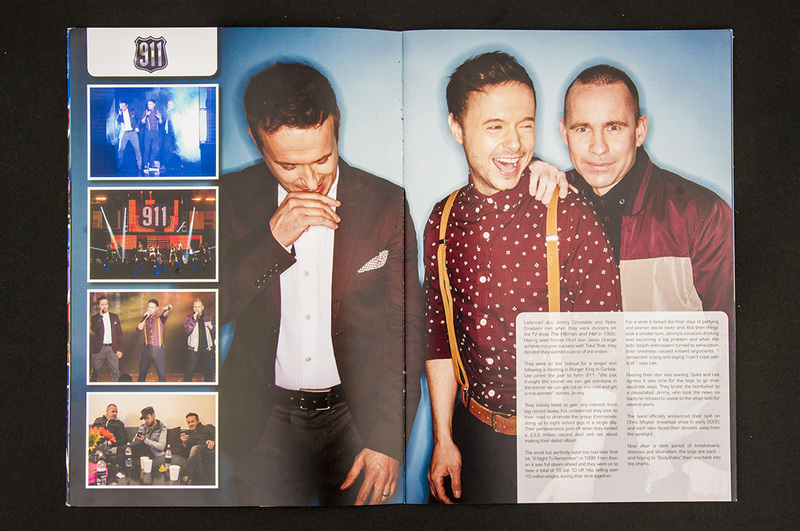 The show features chart-topping bands who were big in the UK Pop music scene between the 1990s and early 2000s, and the programme follows them as they reunite for the first time in a decade and go through their two weeks of intensive rehearsals before finally stepping back on stage for a comeback performance. 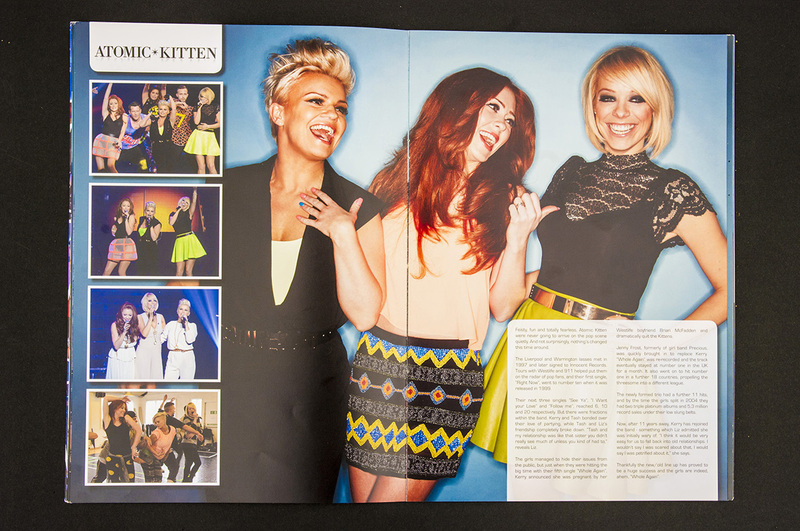 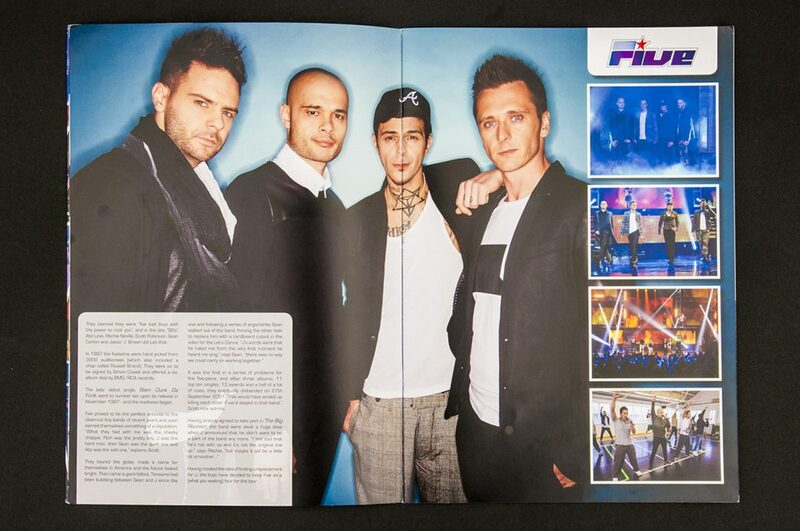 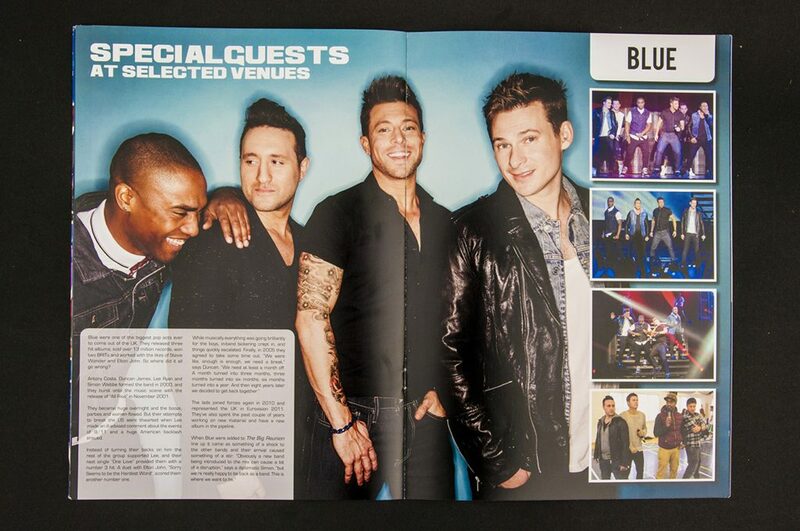 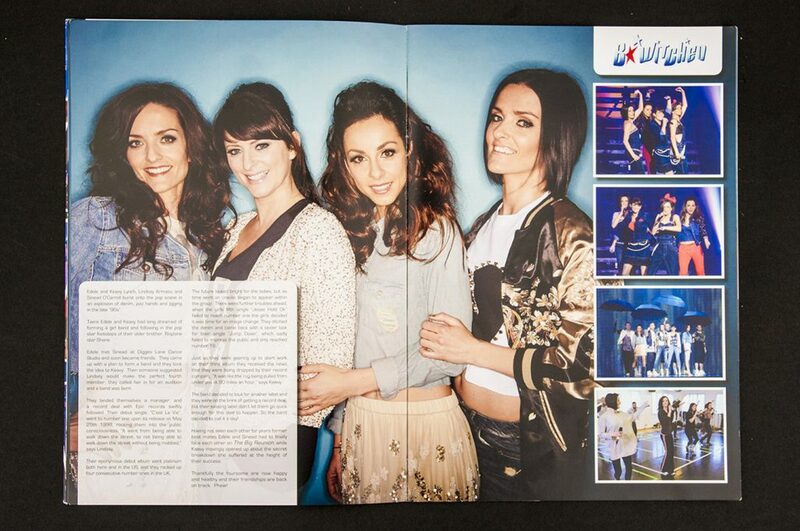 We were commissioned by Global Merchandising Services to design the 2013 tour merchandise and programme for Big Reunion.